Destination weddings are in! Grand displays of wealth and overflowing extravagance no longer qualify as the sole ingredients for a perfect marriage. Kerala, with its charming ambiance, serene backwaters and incredible hospitality, serves as the perfect wedding destination. Besides, "God's Own Country" also boasts of some of the most magnificent resorts that are as elegant as they are classy. 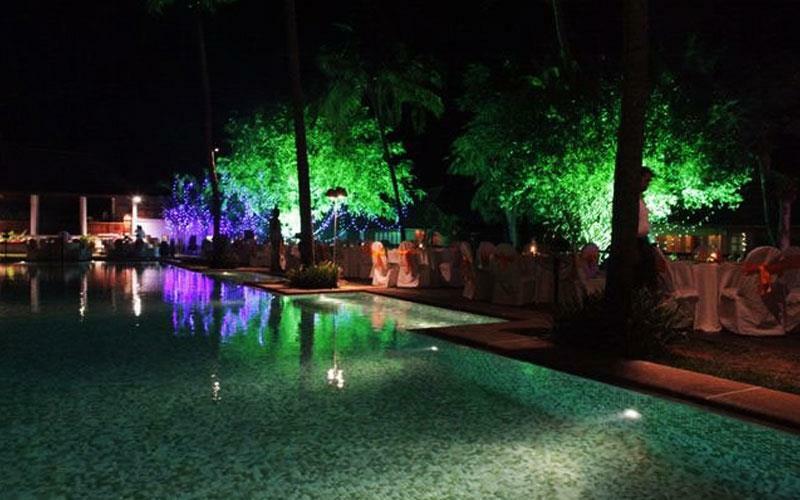 Keralabackwater.com brings you the 10 best destination weddings venues in Kerala. 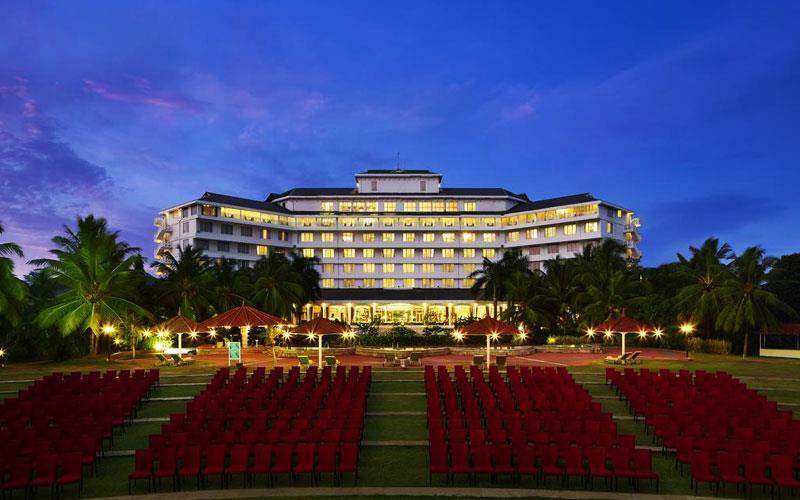 Hosting a wedding at Le Meridien Kochi is a completely blissful affair. With its contemporary style and modern features, this is undoubtedly one of the best venues for destination weddings in Kerala. Its 233 guest rooms cater to a large wedding party. Further, its orchestrated three-tier pool, magnificent backwaters and lovely gardens serve as the perfect background for all romantic occasions. This hotel boasts the Oman Hall – the largest pillar-less hall in South India and a highly sought after venue for receptions and banquets. It can accommodate up to 2,500 guests. The amphitheater, which overlooks the backwaters, is the perfect venue for the wedding ceremony. Kumarakom Lake Resort has been acclaimed as an outstanding luxury heritage resort in India, and it's hardly difficult to see why. Sprawling across 25 acres of lush greenery, it endears itself to its guests by its lovely ambiance and incredible services. This fabulous resort showcases the best aspects of Kerala's true heritage while being equipped with the choicest of modern amenities, thus ensuring a memorable stay. With its luxurious rooms, villas and suites, health club and specialty restaurants offering multi-cuisine delicacies, a wedding here promises to be a memorable affair. It doesn't just end at that. The experts present at the hotel guide you through every part of the wedding process, right from the dessert to the particular color of the bouquet. The Zuri Kumarakom Kerala Resort and Spa is nestled on the banks of India's longest lake – Vembanad Lake. Its amazing restaurants that face the lagoon, along with an excellent pool, ensures that your guests revel in leisure while enjoying the delectable cuisines being served. This luxury 5-star hotel is home to Mridangam – the largest venue in Kerala, which is further subdivided into two smaller halls called the Bhairavi and Poorvi. They are capable of accommodating a huge number of guests. Further, the wide variety of decor options, along with the flexible seating arrangements ensures that the various aspects of the wedding is customized according to your preferences. 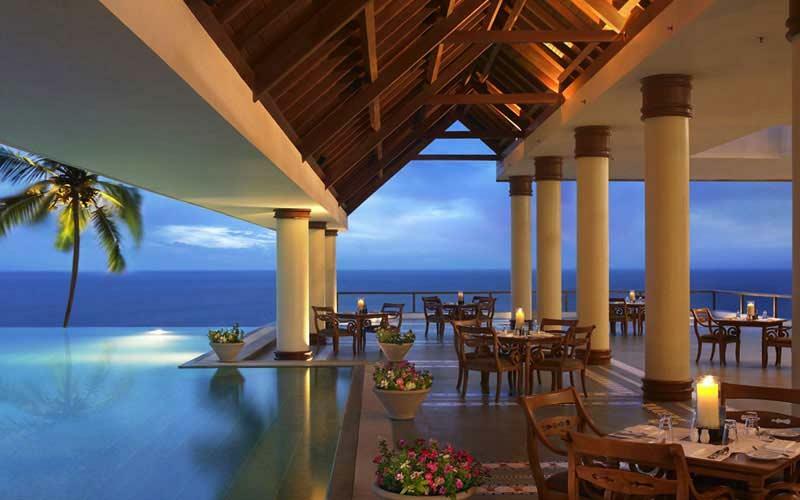 The Leela Kovalam is class extraordinaire. Resting on a cliff-top, its far reaching eminence stems from its excellent hospitality, superb accommodations and exquisite dining. Its superb accessibility – located at a short distance from the Trivandrum International Airport, only serves to enhance its overall preference as the ultimate wedding destination. 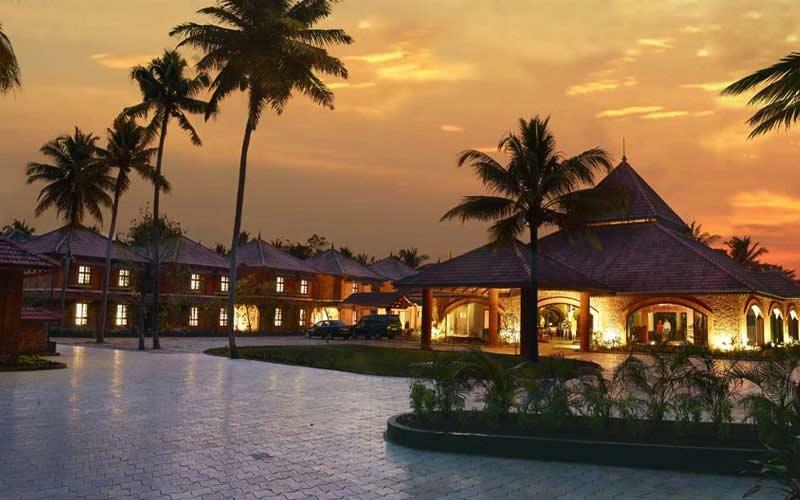 Is it any wonder then that this resort hosts some of the best destination weddings in Kerala? Some of the components of a wedding here include a beach ceremony followed by a beach-top reception. The convention center here, the largest in Kerala, is perfect for hosting a traditional wedding, besides being able to accommodate 900 guests. The Raviz Resort & Spa Ashtamudi, standing proudly by the banks of the famous Ashtamudi Lake of Kollam, is settled comfortably amidst nature. This resort exudes a traditional feel, which is quite obvious since it's been influenced by the Nallukettu style of architecture of Kerala. 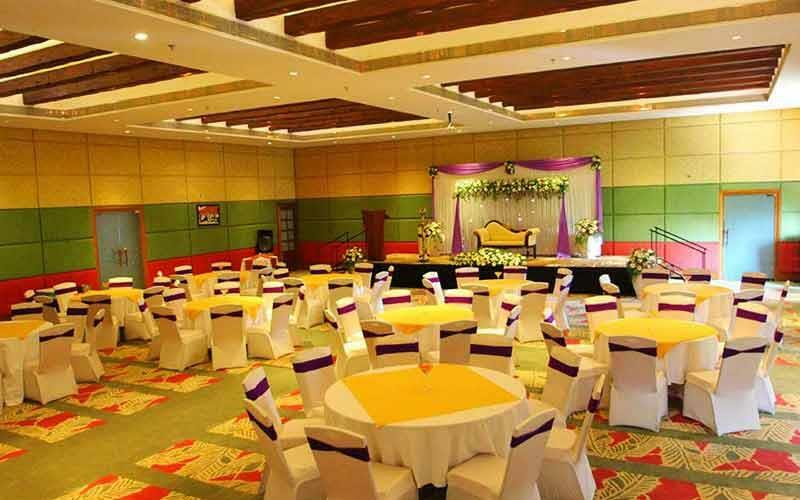 The resort is dotted with several verdant locations that are perfect for cozy functions, while the Raviz Convention Center can host a large grand function. 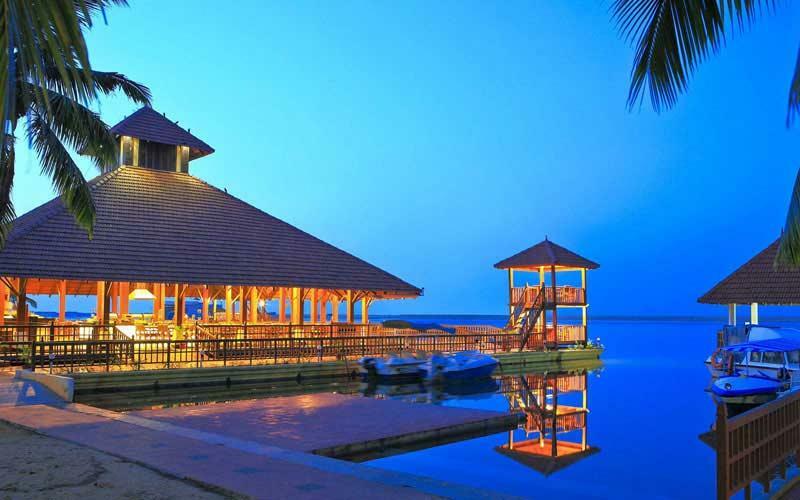 The Raviz Ashtamudi is one of the top wedding venues of Kerala because of its custom made wooden cottages, private islands and a large houseboat known as "Randhal." With a capacity of 1000 guests, the banquet hall here is quite spacious. To provide the guests with ample scope for rest, relaxation and rejuvenation, the hotel also houses a Kerala Ayurveda Spa. Vivanta by Taj, Kumarakom is counted among one of the best resorts, with a history dating back to 150 years. This classy bungalow was built by an English missionary, Henry Baker, and is often referred to as the "little jewel of Kumarakom." Guests here are fascinated by the elegant cottages, the heritage infused rooms, the Temptation pool villas, the luxury villas, the Ayurveda spa and the nouvelle restaurant. Undoubtedly, when it comes to Kerala destination weddings, nothing beats this "abode of luxury and heritage." A wedding here can indeed be a memorable affair, and not just for the outstanding services and incredible hospitality. The pre-wedding services here – from the "Sangeet" to the "Mehandi," win the hearts and minds of the entire wedding party. If you are planning your honeymoon in Kerala, read the post on 8 best places for honeymoon in Kerala. At Crowne Plaza Kochi, guests are acquainted with the meaning of true leisure while being treated to the spectacular views of the backwaters. Here, guests are treated to delectable cuisines along with perfect rejuvenation at the Sohum Spa. The hotel offers 269 spacious business rooms combined with suites that offer excellent views of the city. As a destination wedding venue, it simply sands out from the rest. The authentic culinary outlets, leisure facilities, modern spa and high-tech meeting spaces that can accommodate up to 900 people, ensure that the entire wedding affair is a resounding success. The waterfront setting, combined with all these facilities, makes it unparalleled in terms of being a perfect wedding destination. 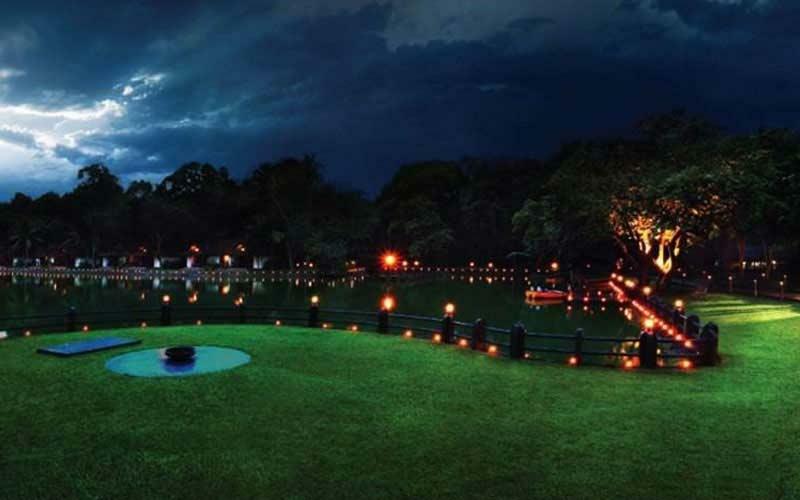 A venture of the Eastend hospitality, Lakesong Resort Kumarakom is a perfect wedding destination in Kerala for those people who like their weddings to be a rather peaceful affair, without lacking any of the festivities associated with it. Sprawled across a vast landscape amidst the picturesque backwaters of Kumarakom, this architectural marvel is built in the traditional Kerala style. However, the key attraction here are the villas built in the traditional Malabar style of architecture. An amazing banquet hall here, equipped with all the modern amenities, is the perfect venue for wedding parties. Additionally, there is also a large open lawn which caters to large parties and wedding receptions. The resort also houses a curio shop which showcases artifacts that reflect the traditional artistic grandeur of Kerala. The other facilities available here are – a huge swimming pool, children's play park and sports courts. Poovar Island Resort is a tropical paradise enveloped by a magical ambiance, thanks to the endless golden sands, azure backwaters, incredible sunsets and swaying coconut palm trees. A wedding here is truly a special affair. There are several factors which make this resort a highly preferred wedding destination. One of them is its outstanding accommodation which includes 86 cottages that enable you to absorb the surrounding beauty while getting lost in luxury. The other is its impressive facilities. 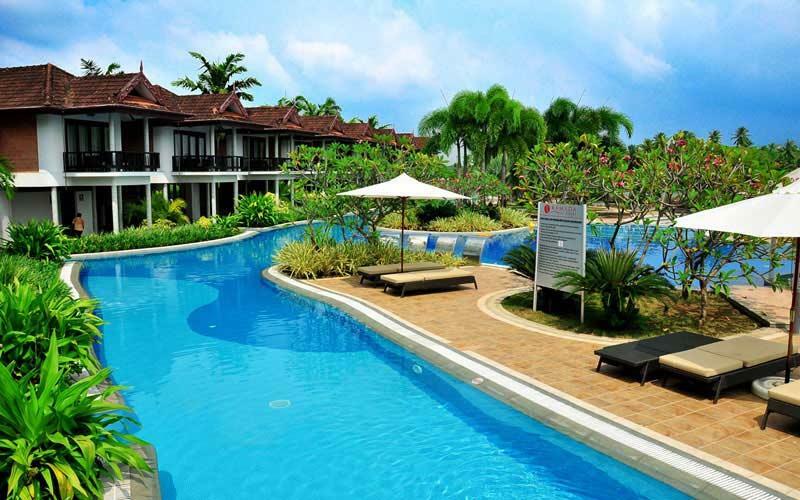 From swimming pools to sports and recreation, it's all here. The highlight of this fabulous beach hotel, however, is the boat cruise offered along the palm fringed shores of the captivating backwaters. 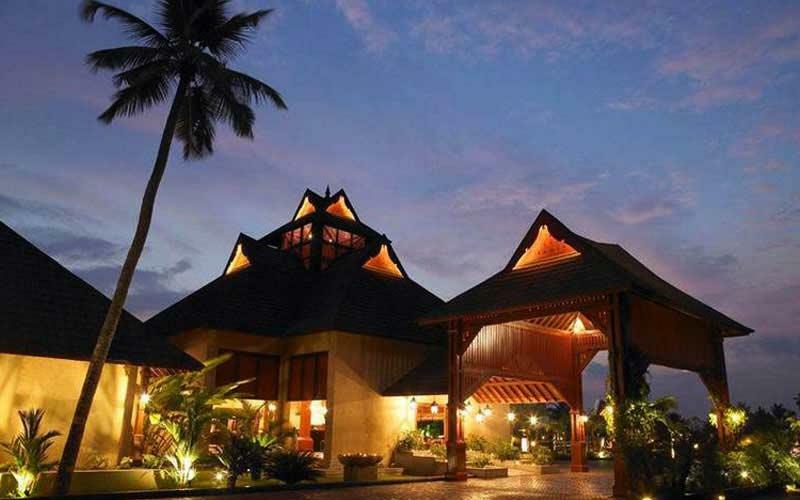 Sprawling across 8 acres, Ramada Cochin Resort is a 5 star deluxe luxury retreat set beside the picturesque lakes of Kumbalam, in the outskirts of Cochin. This resort is an ocean of serenity, and combines the ambiance of a resort with the amenities of a deluxe hotel. Apart from its outstanding accommodations, the resort also offers unforgettable experiences in fine dining. Wedding ceremonies can be an exhausting affair, however, Club 11 Hundred (lounge bar with a discotheque), the Library Bar and Strokes (sunken pool bar) offer perfect avenues for complete relaxations. 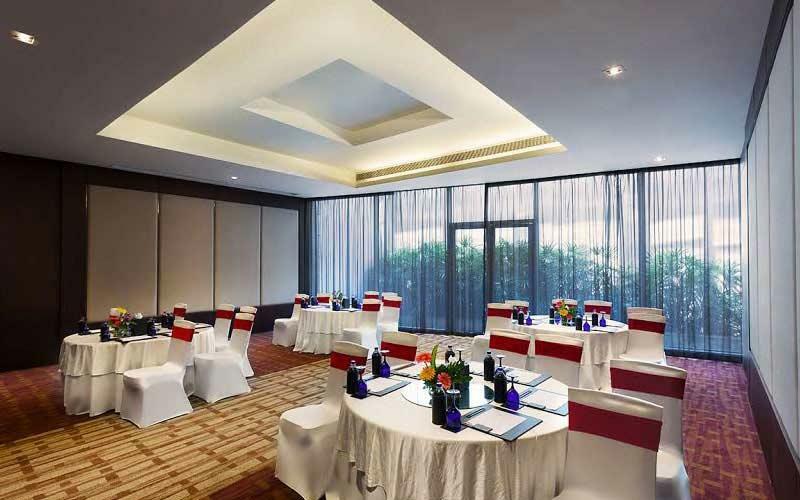 For banquet parties and wedding receptions, the resort offers three banquets and conference facilities – the Royale Club, The Dais and Synergy Zone. This blog is very helpful to understand the destination wedding sites in Kerala. I just loved it. For wedding planning in Kochi, contact scenario wedding planner.